As a mother, educator, and public health advocate, I will work to develop creative solutions to solve Alaska’s most persistent challenges. East Anchorage is my home. 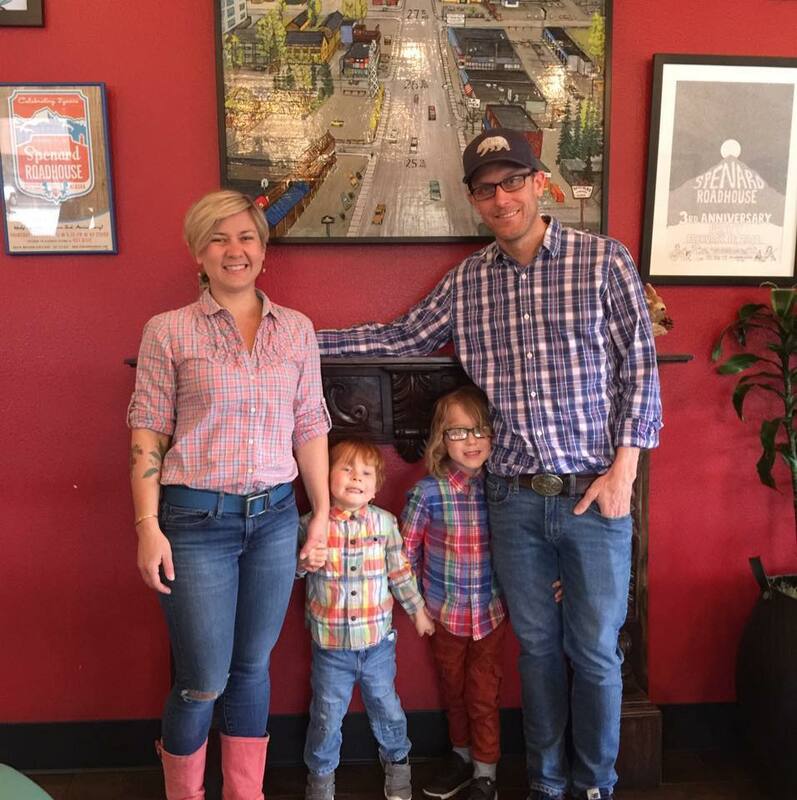 My husband and I chose to raise our family here for the diverse neighborhoods, beautiful parks, and, mostly, for the amazing community that has become our extended family. As a member of the faculty of the University of Alaska Anchorage for nearly 10 years, I have worked with communities across Alaska to address local public health challenges and train the next generation of leaders in my field. In short, Alaska has been good to me and I want to be good for Alaska. But it hasn’t always been smooth sailing. Our household is tired from watching the legislature chase its tail over budgetary negotiations session after session. Like many Alaskans, we’ve been victims of crime and struggled with economic uncertainty. I’ve run out of patience for the inaction that I’ve seen from some of our representatives. I want more from our elected officials. The same old solutions aren’t working. Our neighborhood needs a fresh perspective in Juneau. If elected, I will apply my experience in public health, education, and community development to create a sustainable plan for economic growth, address public safety and public health, and support and develop education initiatives. With your support, I will ensure that our values, our priorities, and some Eastside Pride are felt and heard in our capitol. 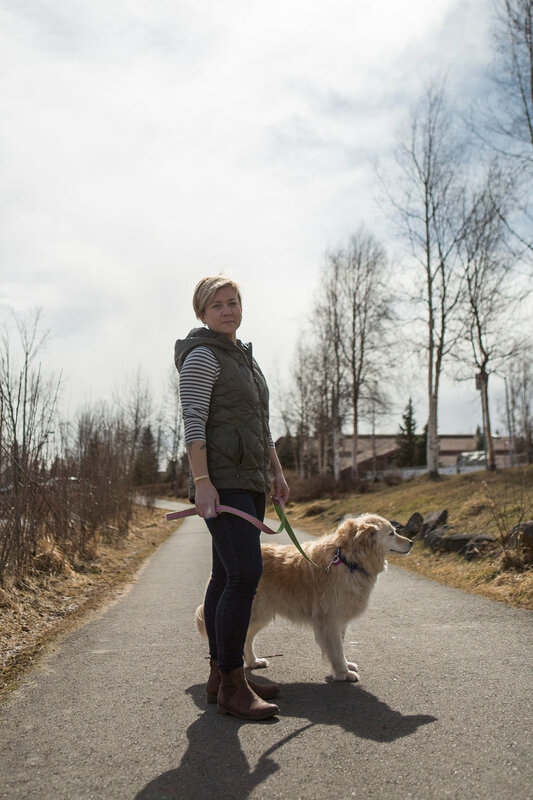 I live in East Anchorage with my husband Sam, our two young boys Finn and Deacon, and our two dogs Dolly and Daisy. We are proud to have laid our roots here. East Anchorage is where we found our home, started our family, and began a life dedicated to keeping Alaska a wonderful place to live, learn, work, and play. I have worked at UAA for nearly 10 years, and I have served on the Board of the Alaska Food Policy Council (AFPC) for six years (four as Co-Chair). In these jobs, I’ve helped train the next generations of public health leaders, crafted policy positions to promote a supportive local food business environment and to ensure all Alaskans can put healthy foods on the table, and had the incredible opportunity to work in Alaskan communities, with Alaskan communities, to identify and collaboratively solve public health challenges -- with a focus on access to clean water and nutritious foods. Working in Anchorage, and traveling across Alaska to diverse communities like Utqiaġvik (Barrow), Nome, Fairbanks, Kipnuk, Cordova, and Juneau, I’ve experienced first-hand what an incredible state we live in. And I’ve been humbled to learn what people take pride in, worry about, hope for, and work to achieve. I’m running for State House because I believe that East Anchorage deserves better. You deserve someone who will work hard to provide smart, responsible solutions to Alaska’s most persistent problems, and who won’t sit around while things continue to get worse. You need someone who will work hard for you, and who isn’t afraid to be an independent voice. I will stand up to address our crime problem by investing in police and public defenders and fighting our opioid epidemic. I will invest in our kids by ensuring that we have the best education system possible. And I will bring solutions to our budgetary talks, collaborating with other legislators AND local business to ensure that we can pay a sustainable PFD to all Alaskan families. 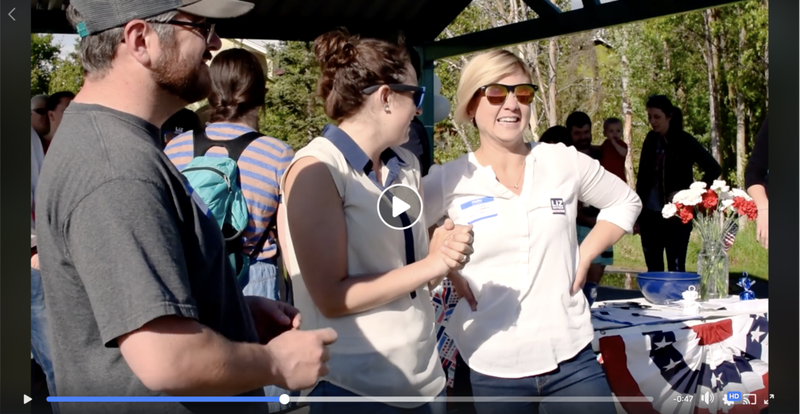 In short, I will work hard on your behalf, collaborating with others to ensure that we get things done in the legislature and keep Alaska an amazing place to live, work, play, and raise our families. Thank you for taking the time to check out my website. 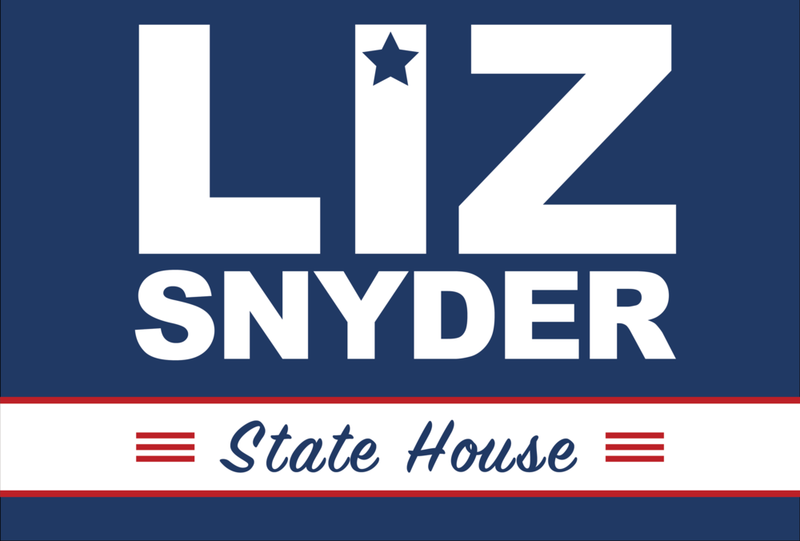 If you’d like to learn more about which issues I will take on in the legislature, please see my issues page below. We need to show our children that we respect and value quality education by ensuring we meet every child’s learning needs and support an environment that attracts and retains dedicated educators. I support paying a moderate, consistent PFD and sustainably drawing from permanent fund interest earnings to provide essential services – like public safety and education – and to avoid the budgetary uncertainty that so often prevents the legislature from tackling other persistent issues that keep Alaska from reaching its full potential. I will be smart and tough on crime. We can do this by quickly repairing remaining shortcomings of recent public safety legislation, providing the necessary resources to law enforcement, adequately supporting proven intervention and rehabilitation programs, and focusing on addressing root causes of crime – including our current drug crisis. Thank you to the Anchorage Police Dept. for recovering our stolen van! As a public health advocate, I know the importance of being proactive, not just reactive. As your representative, I will be both as we give the current opioid epidemic the attention it deserves. From addressing where drugs are entering our communities, to supporting opportunities for prevention and intervention, to ensuring treatment is timely and adequate, I want as many citizens as possible ready to fully participate and contribute to the vision of a healthy, productive, and prosperous Alaska. I am a long-time and devoted partner of local businesses across East Anchorage and Alaska, and I believe firmly in fostering an environment in which local businesses can thrive and grow. It’s time that we stop relying on a single industry in our state, and that we begin to focus on additional areas where we can thrive. I will partner with everyone from local coffee shops to state-wide tourism industry leaders to make Alaska a good place to invest. We have a pay gap problem in Alaska, and it’s time that someone does something about it. Alaskan women lose ~$1.6 billion each year by being undervalued, according to the National Partnership for Women and Families. That’s $1.6 billion that could be going into our economy, and helping take care of our families. We deserve better. I believe that Women’s Rights are Human Rights, and that all women deserve equal access to basic things like equal pay, a safe workplace, and comprehensive healthcare. I will work in the legislature to extend these rights to ALL women to ensure that they are free and able to care for themselves and their families in safe and healthy environments. As the daughter of a Marine, and as someone who is proud to have several family members who have served this country, I’ve seen how difficult it can be to enter the workforce after returning home, and for veterans to receive quality, timely healthcare. I will be a strong advocate for ensuring our servicemen and servicewomen receive the gratitude and support they deserve, both home and abroad. Click the thumbnails to watch our videos!